Radio Grapevine is the hospital radio station for St John's Hospital, West Lothian, which provides a health and wellbeing entertainment. We are on air 24 hours a day, 7 days a week, 365 days a year. Radio Grapevine is a registered charity and run entirely by volunteers. We’re located within the hospital which means that we are very much part of the hospital community. 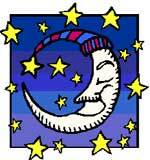 Our dedicated programming offers something for everyone and includes a nightly request show, feature programmes ranging from classical to big band, rock to Scottish and even a show dedicated to relaxing and taking it easy. You can listen via bedside units, online by clicking Listen Live or by using our very own Radio Grapevine app on your smart phone. Radio Grapevine recruits new volunteers at various times throughout the year to keep our service on-the-air. If you would like to volunteer with us, please Register your Interest and we will be in contact as soon as any opportunities arise. NHS Lothian is committed to helping everyone to live a healthier and happier life. 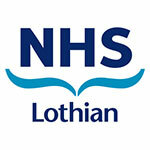 Visit the NHS Lothian Health Information site for information on child and adult ailments. Age Scotland has a fantastic section on its website all about keeping healthy. Sections include healthy eating, bone health, alcohol, falls, gradnparenting and coping with bereavement.